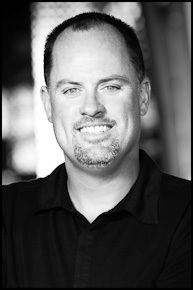 For our next “5 Questions”, we are excited to chat with T.J. Crume IV, SYNC’s owner and operator since 2000. Let’s take a look at what makes T.J. such the go-getter that he is. Question: What inspired you to create SYNC? T.J.: Passion. I love what I do and SYNC is what has evolved out of that. I moved to Los Angeles in 1994 after I graduated from college and luckily found a job in the photo world. Working three years in sales at Calumet and Samy’s Camera, I became creatively unemployed – I mean a Photo Assistant/Photographer. I purchased my first Sprinter van in August 2004 and from that moment my focus changed. Now I enjoy streamlining the Photo Production/Rental process and making clients happy. – Seeing Client’s finished work, knowing we had a part in making things come together and in the end, their success. – Growing a business in a creative field. Where do you see SYNC in five years? T.J.: Boy…Five years…Well, mostly growing into new markets. The HD DSLR market is one example where we are seeing new clients and look toward to embracing the needs of the next generation of content providers. T.J.: Ones that pay their bills on time. How is SYNC different than other rental houses in L.A.? T.J.: The owner picks up the phone 24/7 and works to solve even the craziest of requests at the best price.